Professional Intervention Help: Do I need it? Below is a simple evaluation to gauge whether or not intervention services may benefit your family and your loved one. Please answer these questions honestly. If you choose to submit this form, we will contact you shortly. Do you count or measure your loved one’s alcohol intake or drug use? Have you ever lied or covered up for your loved one in an effort to help them (or you) avoid negative consequences related to their drinking or using? Have you caught yourself making justifications like, “It’s only beer”, “It’s only marijuana” or “It’s not as bad because its a prescription medication.” when they drink and/or use on a daily basis? Have you ever threatened or given an ultimatum to your addicted loved one such as, “If you don’t stop drinking/using I’ll leave” or “…I’ll kick you out”? Do you avoid talking to your loved one about their addiction because they will become angry if you do? Have you been hurt, scared or embarrassed by your addicted loved ones behavior? Do you feel like you are failing because you cannot control your loved ones drinking or drug use? Have you become more angry, resentful, confused or afraid because this problem has lasted longer than you feel that it should? Have you refused social or work invitations out of fear or anxiety that your loved ones drinking or drug use would likely impact your experience in a negative way? Has your loved one’s weight or sleep pattern changed in a significant way? Does your loved one miss work frequently? When they are at work, is their performance below expected levels? Have you worried that they might lose their job due to their drinking or drug use? If you answered yes to any of the questions above, it’s time to talk to a professional. 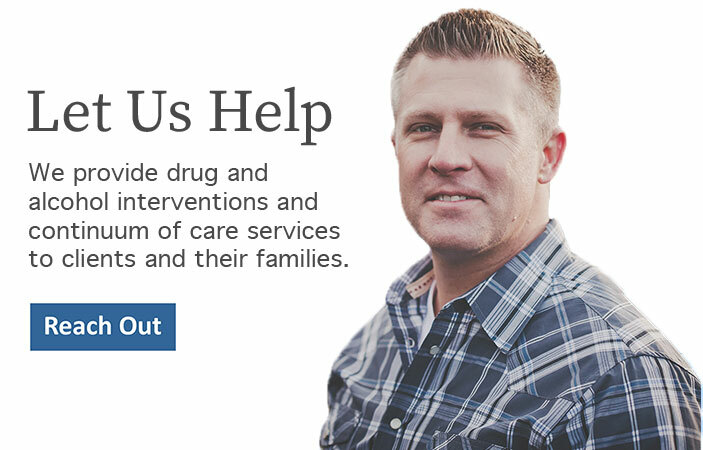 We will conduct a more detailed assessment to help guide you on a path to help you address your loved ones specific needs and let you know what can be done to help your loved one achieve lasting sobriety. Please fill out the brief form below, and we will contact you shortly. If you do not want to submit this form, please give us a call anytime at 888-762-7557. Is it OK to leave messages on your phone? What is your relation to the addicted individual?